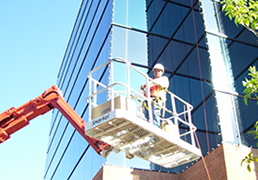 If you are looking for information on the St. Nick's Decorators franchise business opportunity, St Nicks Decorators franchises or St. Nick's Decorators franchising, then you have come to the right place. 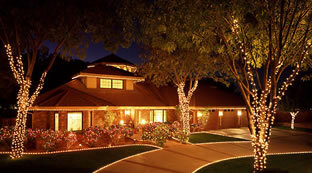 lights on residential and commercial properties. Since 1989, the founders of St. Nick's Decorating have been making people's lives brighter through Christmas and event decorating services. Be a part of the team everyone wants to call for exciting, festive holiday cheer for homes and businesses. Families love the joy lights bring and businesses (now, more than ever) use lighting and décor to drive traffic and increase retail sales. The Market: It's growing and recession resistant too! The seasonal décor market is an $18 billion industry and growing. Since 2002 sales (in terms of dollars) in this industry, have grown by over 800%. 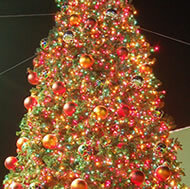 The holiday lighting and decor market is still growing in spite of the recession ($800M market). In 2009, Americans spent 40 percent of their seasonal decor budget on exterior decor, up from 22 percent back in 2004. And we are not just talking homes. On the commercial side, holiday decorating is implemented to increase store traffic and retail sales. For the residential market, families typically stay closer to home spending more on family centric activities like decorating the exterior of their homes with lights and decor. The market is driven by a number of factors, including the number of residences and commercial buildings. Currently, there are approximately 109 million occupied single-family housing units in the United States. In addition, there are over 4.5 million commercial properties, including over 4,000 malls, 48,000 shopping centers and over one million retail sales stores. We will also have many opportunities to market to municipal facilities, resorts, shopping malls, retail centers, casinos, hospitals, business parks and more. In spite of this large and rapidly growing market, there is no national competitor with any significant market share or geographic reach. The market is highly fragmented with a majority of the participants "mom and pop" operators with less than $1.0 million in annual revenue. St. Nick's goal is to provide national geographic coverage and become a household brand. Realize 50% margins right away - 60-70% margins are typical after first year. Not a Franchise (NO royalties or franchise fees) - We are a licensing opportunity. Our dealers typically make a profit their first season. Proven Best Practices & Support - We know decorating, with millions of lights hung since our inception. A St. Nick's dealership provides an excellent opportunity for you to add a new service to an already existing business or for you to create a new business. By utilizing your business experience, commitment and focus on the business, you will be well on your way to building your own business. Become part of our Dealership Team as we capture the #1 brand position for hanging holiday cheer across the U.S!